Early yesterday, along with 48 like-minded yarn addicts, I set off on a coach for Wonderwool Wales. 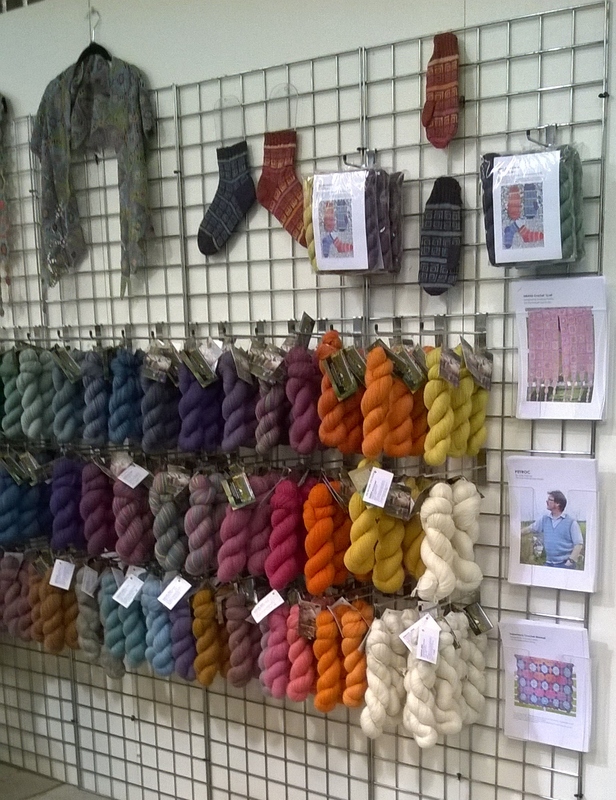 This is a fabulous annual festival of wool and natural fibres. And for me it is becoming an annual opportunity to organise a coach trip! I think I can safely say that all the ladies on the coach thoroughly enjoyed themselves and, judging by the overflowing bags they loaded onto the coach for the return journey, I think they were in yarn retail heaven and sampled all the wares on offer! I have been to 4 different festivals of this type and, even though my experience is limited, I think it safe to say that Wonderwool is my favourite. It is held at the Royal Welsh Showground in very large agricultural sheds with plenty of room to move about. Of course, this means it can get chilly but you just need to be prepared for this. 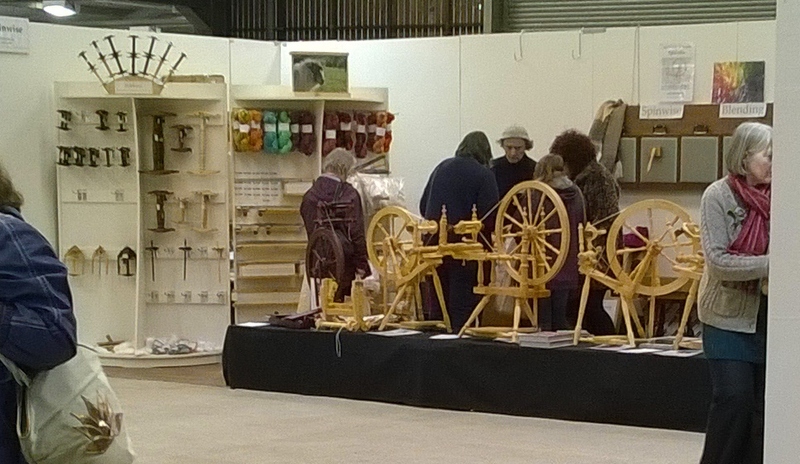 This year there were 200 exhibitors demonstrating and selling everything you could want in the way of yarn related goodness and fun. Amongst the yarn skeins there are a couple of lovely skeins from Willow Knits http://www.willowknits.com/, Ann dyes the most gorgeous colours on this pure silk yarn, which is very good value as well as being extremely beautiful. When not at the shows, you can find her yarns in her Etsy shop. 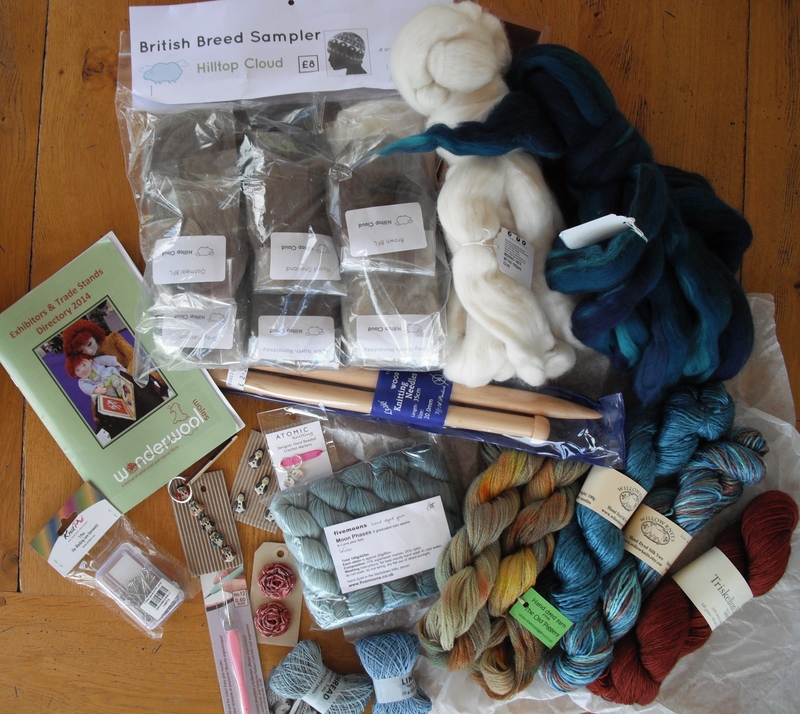 I also bought yarn from some other lovely independent dyers – Triskelion Yarns, Five Moons and The Old Piggery. You will also spot some fibre (I really must do more spinning) and some lovely buttons. Of course, whilst retail therapy is good for my soul, it is even better to meet up with friends. 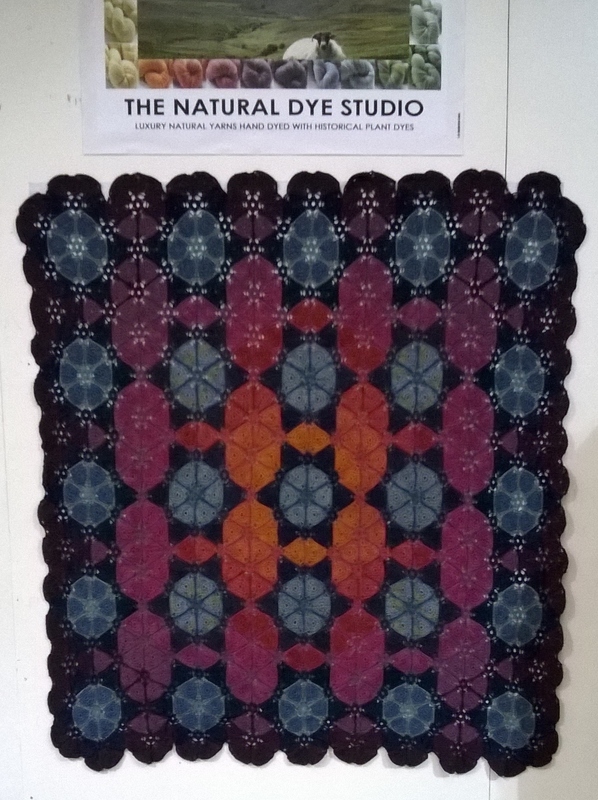 I spent some time with Amanda and Phil Perkins of The Natural Dye Studio, met up with people I have worked with and, as is often the case at events like this, bumped into some friends unexpectedly! All in all a very good day.